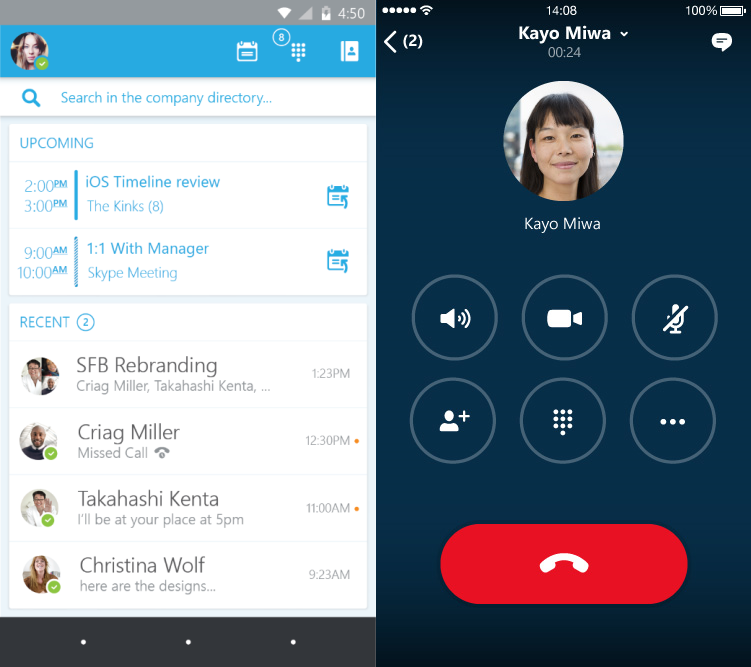 Microsoft today launched its Skype for Business app for iOS out of preview. 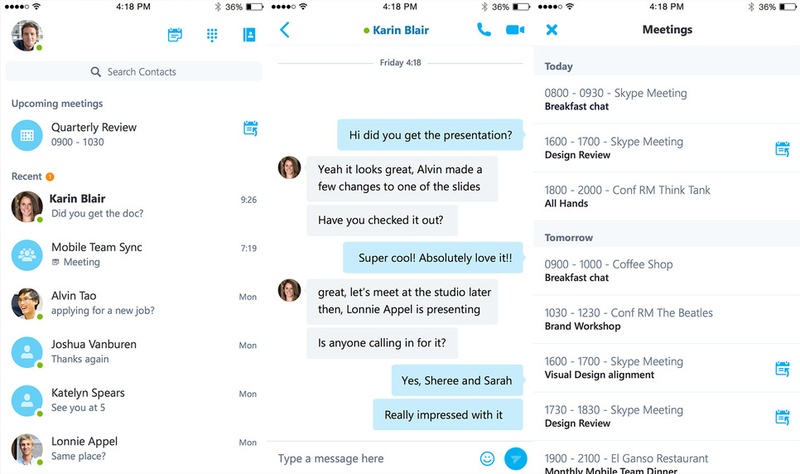 You can download the new app now directly from Apple’s App Store — iPhone users with Lync 2013 will be automatically updated to the Skype for Business app. Skype for Business arrived in April and got a dedicated Windows Phone appback in July. The Skype for Business app has a new dashboard for accessing your contacts, calls, and meetings. Speaking of meetings, you can see your current and next appointments in your calendar, and then either click through to read more about the meeting or click the Quick Join icon to start right away. The contact search bar lets you find contacts by first name, last name, email alias, or even a phone number. Even your iOS phone contacts are included in the search. Microsoft is also promising larger buttons for muting, adding participants, and managing calls. This enables your IT admin to configure multi-factor authentication for the Skype for Business iOS app, increasing the security beyond just a user name and password. With multi-factor authentication, users are required to acknowledge a phone call, text message or an app notification on their device after correctly entering their user name and password. Other Office applications also support ADAL-based authentication, which allows for consistent authentication across your organization. A future version will add the ability to view PowerPoint slides in a meeting. In the meantime, you can view a PowerPoint presentation via desktop sharing. All in all, this is really just Skype aimed at the mobile business user, which is exactly the point. Microsoft wants to build Skype into all its products and services.